This page explains how to create a folder in Panopto for students to record presentations into. The student will need to log into Panopto to record the sessions. Sessions can be recorded as many times as necessary and can be edited. 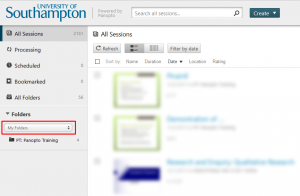 For instructions on how to have a folder where the instructor will need to log into Panopto to record the sessions and sessions can be recorded only once, please see this support page: Recording student presentations. For an assessment, students are required to give a group or individual presentation. There are too many students to record during teaching time, so you ask students to record a Panopto video before a deadline. 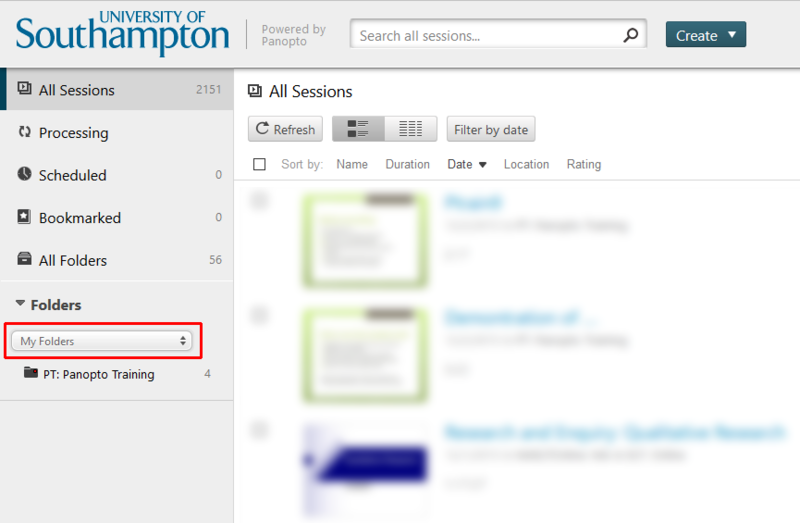 You create a Panopto folder that allows all students on your associated Blackboard course to record or upload a video. Students use their computer or phone to record the presentation and upload it to Panopto. The student watches back their presentation and can choose to edit it or delete it and record again. When the deadline occurs, the tutor moves the recordings out of the student folders to ensure that students can no longer change their videos. Note that students will be able to create recordings as soon as these instructions are followed. These instructions should be followed just before the assessment is opened. Please note: A provisioned Blackboard course is required to follow this guide. This will create a new subfolder called “Your Course Name [Assignments]” that your students can record into. Note that students will be able to edit or delete their work in this folder. They can record into it using either the Panopto Recorder for Windows or by uploading a video file. 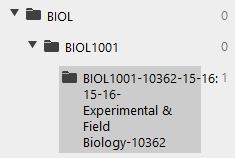 It is important that instructors move the video files out of the assignments folder. Otherwise it will continue to be possible to delete or edit recordings after the deadline. Why upload to Panopto and not eAssignments? Eassignments can be configured for “Blank submission” (this is similar to how you would mark a music recital or artwork) to manage the marks and feedback.